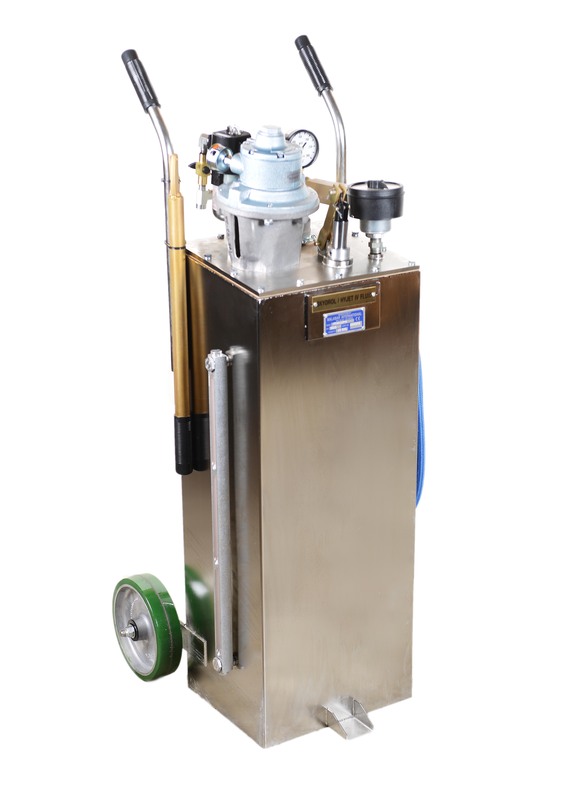 The Malabar Model 465 Skydrol or HyJet IV Dispenser is a 15 gallon dispenser used to service various commercial aircraft hydraulic systems. 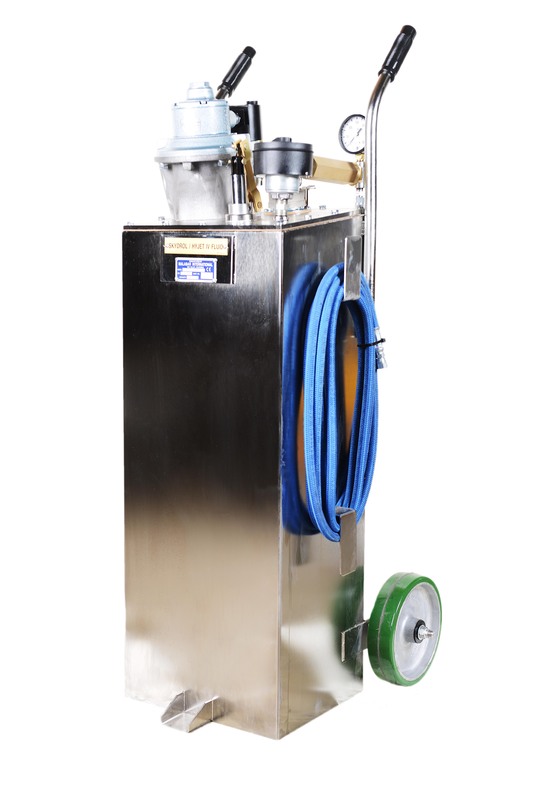 The air pump and hand pump dispenser consists of a reservoir, pump assembly with relief valve, filter assembly and fluid delivery hose. Model 465 is built to withstand harsh environmental conditions and rugged use, and to provide many years of continuous service. Our customers are guaranteed a quality product with each purchase and are assured of our continued product support whenever and wherever the need arises.